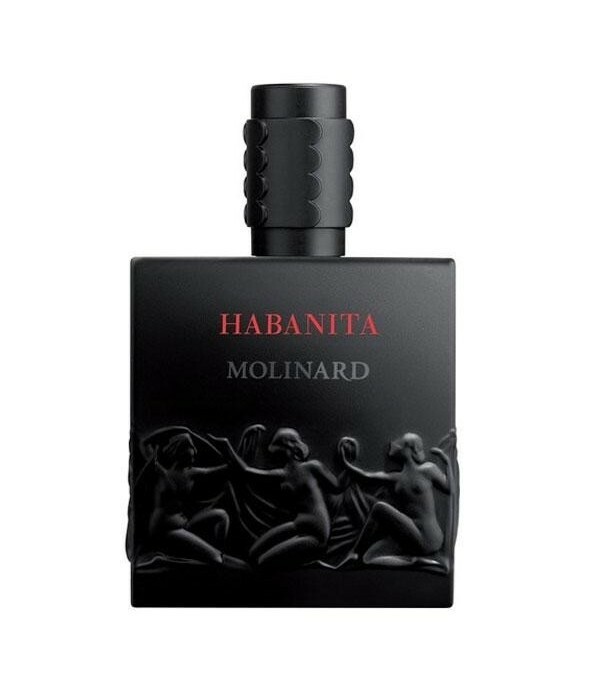 Habanita is a feminine perfume from Molinard, which revolutionized the perfumery industry in 1921, both in the design of the bottle, made by René Lalique, and its perfume, becoming the first oriental fragrance in history, where vetiver, until the date reserved for male fragrances, seduces women. A mythical perfume, where its olfactory trace leaves us a floral, woody, and powdery and infinitely sensual wake of unparalleled richness. Top Notes: geranium, mastic, petitgrain, ylang-ylang. Heart Notes: vetiver, cedar, heliotrope, jasmine, centifolia rose of Provence, mimosa, ylang-ylang. Base Notes: amber, vanilla, Penang patchouli, Mysore sandalwood, oak moss.